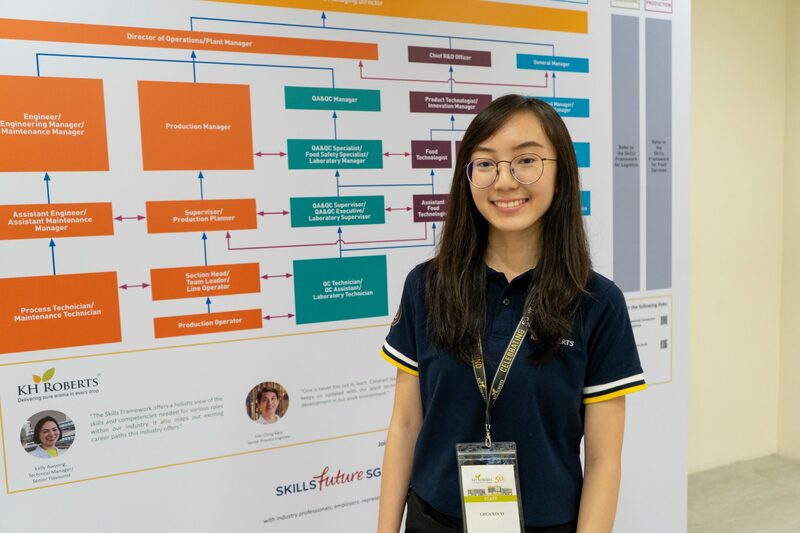 While most of her peers continued on to university after graduating from polytechnic, Chua Xin Yi made a bold move – she decided to enrol in the SkillsFuture Earn and Learn Programme instead. Having obtained a Diploma in Food Science and Technology, her reason for choosing to pursue the unconventional route was simple: she wanted to be certain that the industry was right for her. “I was very sure that I wanted to reaffirm my interests. I didn’t want to dive straight into it and regret (doing so) later on,” she explained. The programme is a work-learn programme that allows fresh graduates from polytechnics to get a head-start in careers related to their discipline of study, providing them with opportunities to peruse and build on the skills and knowledge acquired in school. For Xin Yi, she joined the programme with KH Roberts. 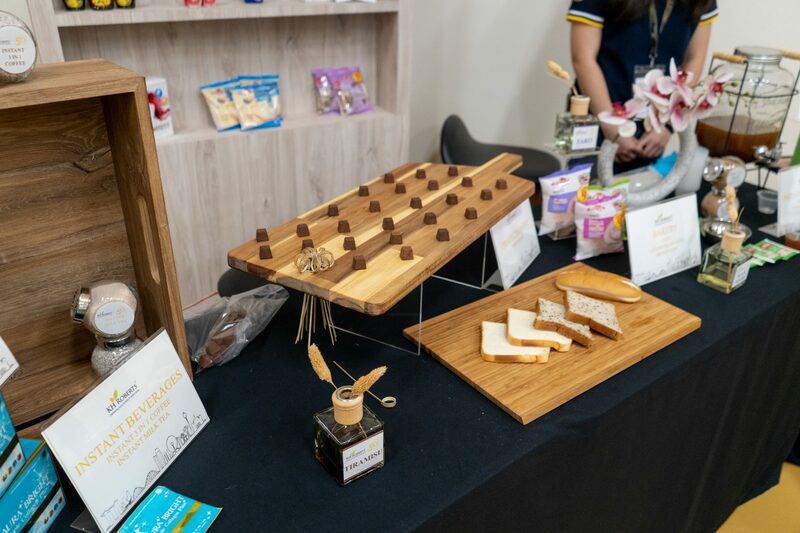 The food flavourings and ingredients maker is among the organizations who have established strategic partnerships with SkillsFuture Singapore. Despite coming in with little experience, she gets to work alongside full-timers in her role as a Quality Control Executive. Her job requires her to evaluate the materials used in food flavours. Her experience with KH Roberts has allowed her to gain new insights and a better understanding of flavours. Apart from that, Xin Yi also believes that the programme has helped her sharpen of her analytical skills and even improve her interpersonal communication. 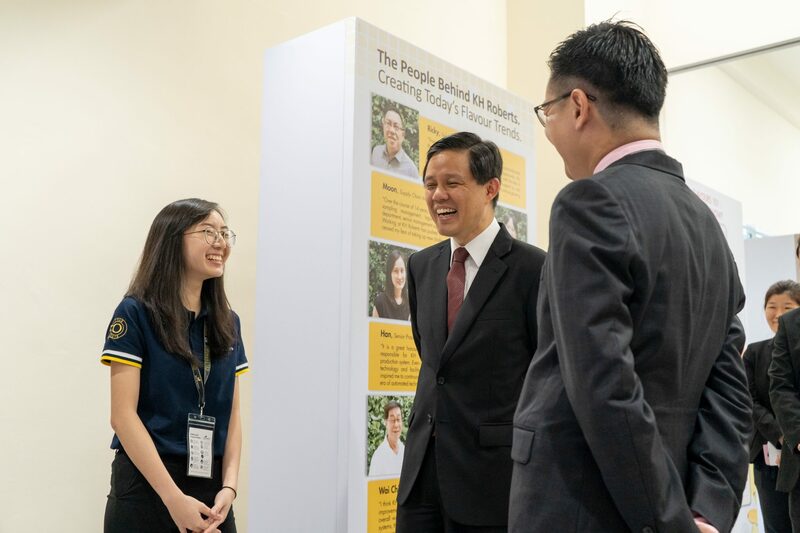 Her stint at KH Roberts has even allowed her to rub shoulders with Minister for Trade and Industry Chan Chun Sing, who was gracing an event celebrating KH Roberts’ 50th anniversary and the opening of its new Integrated Manufacturing Facility. During a tour of the facility, he spoke to Xin Yi about her experience with the programme. With a fruitful experience under KH Roberts, Xin Yi is hoping that the SkillsFuture Earn and Learn Programme continues to expand. Since 2015, the programme has been introduced in 25 sectors, including Aerospace, Biomedical Sciences and Food Services. Photos by Brandon Neo of the DANAMIC team. Joel is not a fan of bios but he’s a big fan of black clothes. And pop culture. QUIZ: Can You Survive A Hipster Café?